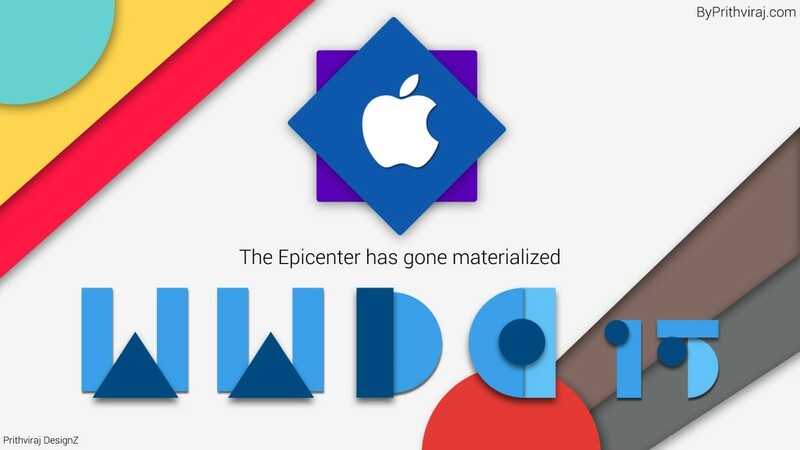 WWDC 15 gone materialized is a design project in which I’m imagining Apple’s annual event WWDC (Worldwide Developers Conference) treated with Google’s material design. Apple is known for it’s beauty with the brains. Google is known for creativity with joy. Both have their different kind of remarkable design concepts and strategies. What would happen if Apple, the long time ruler of design adapts the material design philosophy of it’s long lived and praised adversary, Google. (Just a concept though, don’t be offensive Apple fanboys)? That’s shown in my project. Material design is a design language introduced by Google in May 2014, last year. It’s an extension to the fat design (though, not officially) pretty latest design language in the field of digital and product design. The guidelines state that the objects and components should be a real world material, which means there should be shadow for each object, the colors should be bold etc. All of it means to make design feel more natural. This project is also on Behance. WWDC 15 gone materialized by Prithviraj Singh Hada is licensed under a Creative Commons Attribution-NonCommercial-NoDerivatives 4.0 International License.